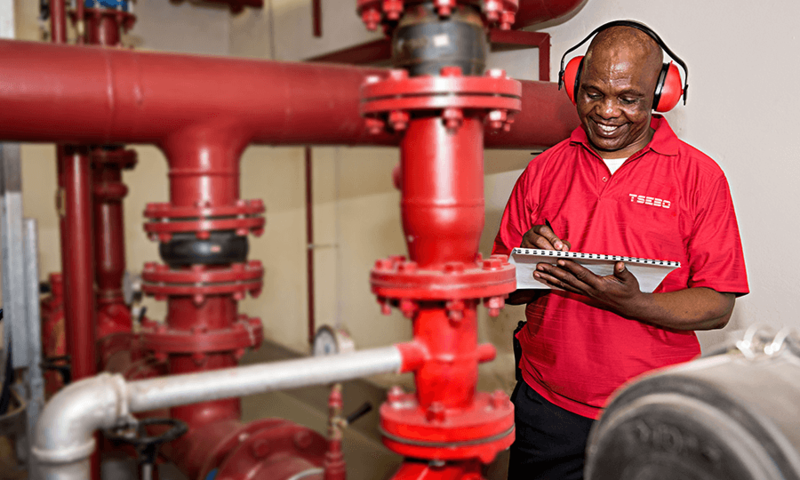 Tsebo operates a highly integrated value chain, minimising, cost and optimising efficiency at every stage. The deep level of collaboration the Group cultivates with its stable supplier base makes this possible. Tsebo procurement and operational teams have intimate knowledge of their supplier operations, and work with them in planning for mutual benefits. This collaboration of systems, processes, skills programmes and market knowledge delivers mutual benefits and enhances value for clients and customers alike. 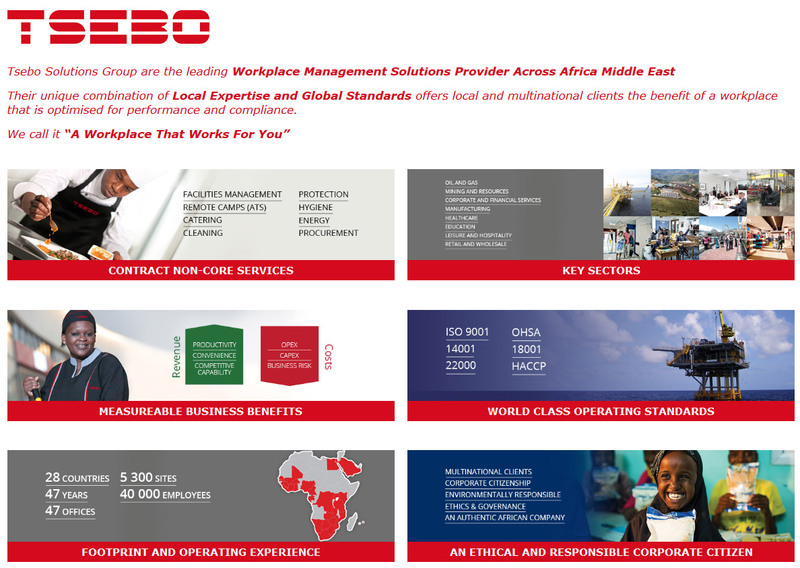 Tsebo deploys its sourcing and procurement mandate across Africa Middle East through a centralized Procurement function, headed by a Group CPO at Exco level. The Procurement Policy is designed to service the Company and its operating divisions by leveraging our substantial purchasing power to ensure the continuous provision of high-quality, maximum value-for-money goods and services, whilst protecting and enhancing gross margin though best-price purchasing. Our approach to savings is to also ensure a high conversion rate to the bottom line. Employees from Tsebo Solutions Group spent Mandela Day with the children and donated blankets, a television set, stationery, computers and other goods. Some of the goods were donated by Tsebo Solutions Group’s service providers. This institution was also the beneficiary of the Tsebo Solutions Group charity event. The shelter is home for 32 men, 15 women and 100 children up to the age of 6. The shelter is run by ladies who are volunteers. It is situated in Ilanga which is one of the most impoverished communities in the Cape Region. Tsebo Solutions Group organised a big charity event and all the sites donated different amounts of money and goods towards assisting the project.